Technology-Portfolio.Net - Are you a gamer who wants to publish your game on social media? 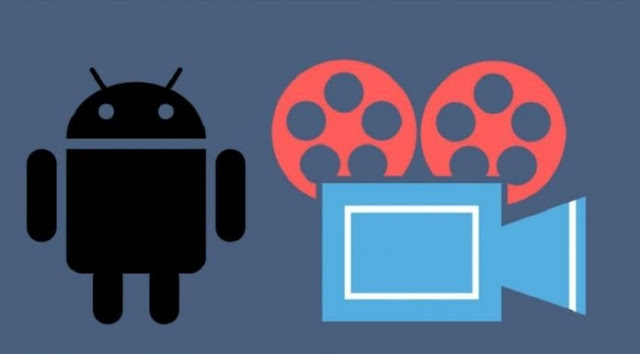 So, you need a screen recorder application for Android. Screen recorder application functions to record all activities on the smartphone screen. Mostly, the application is sought after by users who want to record a game or make an Android tutorial and upload it to YouTube. Although currently the latest smartphones have buried the screen recording feature, but there are some users who still don't have the application. Or, users are still not satisfied with the "factory default" feature. Therefore, we will summarize the best and free smartphone screen recorder application, see more!. DU Recorder is one of the best smartphone screen recording applications. In addition to providing high-quality screen recorders, DU Recorder also provides live streaming to several platforms such as: YouTube, Facebook, and Twitch. This application is also equipped with a video editor that allows users to edit recordings without a PC. A free and no ad screen recorder application seems worth giving to the AZ Screen Recorder. Besides having a smartphone screen recorder feature, this application also provides various features such as: can pause recording, without a watermark, and a simple interface. To be able to use AZ Screen Recorder, users don't need to root the device. Mobizen is a screen recorder application that has more than 100 million users as stated in the number of downloads on the Google Play Store. Just like the others, it's useful to record smartphone screen activity. Its features are the same as all Android screen recorder application providers, it's just that the display and User Experince are not so friendly, so it will confuse new users. Super Screen Recorder is another Android screen recording application that comes with an intuitive and user friendly interface. One of the preferred features is a feature that offers unlimited recording and has a default video editor. With Super Screen Recorder, you can record high-quality screens with various resolutions, frame rates and bit rates. This application is a little different from other screen recorders. Stream allows you to stream, watch and chat in live videos. Screen recorder is one of the functions provided by the Stream. It offers game broadcasting, walk-throughs and more. To start with Stream, just register using Google, FB, Twitter, or e-mail. Those are the five Android screen recording applications that you can choose as needed.